Posted on July 6, 2017 by Barbara H.
These pages address those who, by God’s grace, still have their faculties intact; who recognize that, as is often and truly said, aging is not for wimps; and who want to learn, in a straightforward way, how we may continue living for God’s glory (p. 14). He says that for years, people have viewed older age as a state of decline, but we should view it as what he calls “ripeness” or maturity. We know the difference between ripe and unripe fruit: the latter is sharp, acid, hard, without much flavor, and sets teeth on edge; the former is relatively soft and sweet, juicy, mellow, flavorful, leaving a pleasant taste in the mouth” (p. 18). The Bible’s view is that aging, under God and by grace, will bring wisdom, that is, an enlarged capacity for discerning, choosing, and encouraging (p. 19). [Racers] always try to keep something in reserve for a final sprint…so far as our bodily health allows, we should aim to be found running the last lap of our Christian life, as we would say, flat out. The final sprint, so I urge, should be a sprint indeed (pp. 21-22). He discusses various ways to do that, living one day at a time as if it truly might be our last, with glorifying God as our “constant goal,” avoiding excessive daydreaming and nostalgia, ready to go whenever God calls us home. The fact that one is no longer under any pressure to use one’s mind in learning things, solving problems, or strategizing for benefits either to oneself or to anybody else, will allow intelligence to lie permanently fallow, and this, so they tell us, may very well hasten the onset of dementia. The agenda as a whole turns out to be a recipe for isolating oneself and trivializing one’s life, with apathetic boredom becoming one’s default mood day after day (p. 30). He discusses some of the temptations of old age, such as “going with the flow” of everything declining, even spiritually, or not acknowledging any decline due to pride and becoming “tyrannical” with family and friends after having to leave one’s sphere of work (pp 45-46). Yet the common expectation, undiscussed but unchallenged, is that retirees will not continue the learning and leading that were big in their lives while they were at work. The most that the church will expect of them now is that they will continue to support from the sidelines, as it were, the modes of ministry in which others engage (pp. 62-63). By moving us to think this way, however, Satan undermines, diminishes, and deflates our discipleship, reducing us from laborers in Christ’s kingdom to sympathetic spectators…(p. 63). Still taking their cue from the world around, modern Western churches organize occupations, trips, parties, and so forth for their seniors and make pastoral provision for the shut-ins, but they no longer look to these folks as they do to the rest of the congregation to find, feed, and use their spiritual gifts. In this they behave as though spiritual gifts and ministry skills whither with age. But they don’t; what happens, rather, is that they atrophy with disuse (pp 63-64). He encourages churches to balance acknowledging that there is bodily decline and ministering as needed to seniors with seeking to “cherish and continue to harness the ministering capacities” of older saints (p. 64). “And elderly Christian themselves should press on in the worship and service of God and in pastoral care for others, up to the limit of what they can still handle…” (p. 64). “The challenge that faces us is not to let that fact [that our bodies are slowing down] slow us down spiritually, but to cultivate the maximum zeal for the closing phase of our earthly lives” (p. 72). He then spends several pages discussing zeal and quotes J. C. Ryle as saying that “Zeal in religion is a burning desire to do his will, and to advance his glory in every possible way” (pp. 74-75). He urges balance in families as well, encouraging seniors not to be “dictatorial” or “invade family circles unasked,” remembering that “loyalty to one’s spouse should trump the claims of parents,” and encouraging families not to “ignore mature wisdom that is available…in [their] older relatives and friends” (p. 97). He also discusses nurturing the hope of heaven, letting that be a guide and inspiration as well as a testimony, and remembering that we will give account at the judgment seat of Christ that Christians will face (different from the judgment that unbelievers face). There is a lot packed in this short little book, and it’s encouraging to be reminded that God still has things for us to do for His glory as we age. Posted on April 5, 2017 by Barbara H.
Every now and then I come across articles like “Ten Things Your Plumber Won’t Tell You” or “12 Things Your Doctor Would Like You to Know.” Often they are pretty enlightening. 1. Preserve as much of their independence for as long as possible. It seems like often family members will see an elderly loved one’s need of assistance before that person does. Sometimes denial causes the elderly to think they can carry on as they always have: I think more often it’s fear of loss of independence. I’ve heard more than one person express dismay or impatience that their loved one won’t just go along with the program and make it easier on everybody and move into a facility already. But have you ever thought about what that involves? Depending on the facility and how much money is available, it means much smaller living space, selling the family home, departing with long-loved objects in order to downsize, communal meals, not being able to control your own medication or, to a certain degree, your schedule. The first time we moved my mother-in-law into a facility, I thought it was something like a cross between a dorm room and a hospital. I liked the dorms in college: I wouldn’t want to go back to them in my later years. Think about having had your own personal space for 50-odd years and suddenly moving into one room that anyone in the facility can come into at any time. Granted, that accessibility, having the staff control medications, etc., is for one’s safety: but that doesn’t make it any easier or make one look forward to it. 3. Convey to them that they are still important and useful. When we moved my mother-in-law into an assisted living facility, my husband told her she would never have to cook or clean again, and after having done those things for most of her life, she was glad to hear it! She loved having time to enjoy reading, her favorite activity. One day when she was visiting our home for a family gathering, and an old family story came up concerning something funny she had said years ago, we all laughed, including her. Then she said, “Well, at least I’m still good for something” (meaning, good for a laugh). I was stunned. I hadn’t realized that she hadn’t felt “good for something,” that she had kind of lost her purpose. One of my regrets is that I didn’t do more on visits with her, like ask her about her life and history and write the answers down to share with other loved ones, or go through a box of very old photos and arrange them in an album with her. 4. Treat them with dignity: don’t treat them like children. Very old age does have some things in common with childhood, but it is not the same. In I’m Still Here: A New Philosophy of Alzheimer’s Care, John Zeisel writes, “It’s not right to think of Alzheimer patients as entering their ‘second childhood.’ They have knowledge and life experience children don’t have.” That’s true of any elderly person. Once when my husband came to pick up his mom at her facility, the aide with her said, “It’s almost like you’ve switched places, isn’t it?” and then turned to his mom and said, “Your daddy is here, honey.” No, it is NOT like that. He had to ask her not to say things like that. Yes, the son or daughter will have to make major decisions and handle things the parent used to, and the parent may be incapable of doing many things any more, but that’s not the same thing as reverting to childhood. Especially fingernails-on-the-chalkboard grating is talking baby talk to them. 5. Do NOT put them in a facility without checking on the regularly and frequently. You would assume that everyone who works in assisted living or a nursing home is kind, professional, skilled, and will take the best possible care of each resident. We learned, sadly, that that’s not the case. I could tell you stories…my husband has said often that he’s going to write a book about this some day. Each place had some jewels in their workers, but each place also had some who were neglectful, who handled her roughly, who paid no attention to her posture, who talked over her to their coworkers and didn’t even look her in the eye while handling her in some way, who didn’t clean her face well after a meal so that she got red, rough irritated spots on her face, etc. Once I walked in to a facility, and they had her in her wheelchair in the common room with the other residents, she was bent over the side of her wheelchair at a 90 degree angle, even though there were several aides in the room, even though we bought some small pillows to help keep her upright in the chair. Plus the employees are overworked and underpaid and the facilities understaffed. On top of that, the residents might not be able to verbalize what’s wrong, either due to dementia or possibly even fear. My mother-in-law had a “don’t rock the boat” personality, and the more she declined, the more help she needed, the more her care declined. “The squeaky wheel gets the grease” is as true here as everywhere else. There were some residents who really needed a staff member with them almost 24/7 for various reasons, and that left the quiet ones like my mother-in-law unattended for too long too often. 6. Don’t forget them. Whereas #5 was more concerned about their safety and well-being, here I mean don’t forget them on a personal level. Continue to interact even if they don’t remember who you are. A lady in our church who writes notes once or twice a month to my mother-in-law checks in with me from time to time to see if she still enjoys them or gets anything out of them. I tell her, honestly, I don’t know if she remembers who the writer is, and I don’t know if she remembers anything the note said five minutes after it’s read to her, but for those few minutes, she knows someone thought about her and cared enough to jot a few lines to her. It’s incredibly sad to us when holidays or her birthday go by (and the days in-between as well) and she hears from almost no one. 7. The best thing you can give them is your time and attention. When my mother-in-law was in a facility, we tried to visit her every day. We usually sat and visited, but I’d run out of things to talk about after a while. I felt more “useful” when I could pick up or straighten her room or do something physical, but that tended to embarrass her. Likewise, gift bags, flowers, etc., are nice, but don’t feel you have to bring anything. What’s most valuable is for someone to face them, look them in the eye, talk directly to them and focus on them, or, if you live away from your loved one, a personal note, perhaps an new photo, or Face Time or Skype if possible. 8. All eating problems do not mean the end is in sight. Whenever I have mentioned eating problems with my mother-in-law to almost any health care professional, they’ll say, “Well, you know, when they get near the end, they’re just not as interested in food.” That may be true, but that doesn’t mean other factors might not be involved. When we moved my mother-in-law to our home from the nursing home, she was around 90 lbs., and we thought we were bringing her home to die. That was four years ago. I think a combination of food prepared and seasoned well, warm and not cold from sitting on a cart while food is distributed, and, most important, someone to feed her who takes time with her, all contributed to her eating well again and gaining weight. We learned that eating tires her out, so sometimes you have to give her a few bites, give her a drink, wait a bit, then try a few more bites. Even now she’ll have certain meals, or even certain days, where she’s just not interesting in eating. Since she doesn’t speak much any more, we don’t know if the food is too hot, too cold, doesn’t taste good, or if she’s just tired or doesn’t feel well. Sometimes I think she’s just not going to open her mouth because eating is the one thing she can control in her life. But that usually lasts just a day or so, sometimes a few days, and then she’s back to eating normally. 9. It is probably going to get worse. My mother-in-law has been on a something of a plateau for a couple of years now, but for a long while, if anyone asked us how she was doing, the response would be that she wasn’t doing very well. Sometimes people were taken aback that we didn’t have a positive cheery answer, like when people say, “How are you?” and expect no other answer except, “Fine, how are you?” in return, and they’re jarred a bit at any other answer, especially a negative one. Once we said, “Well, she’s declining,” and the person responded, “Well, we’re all declining.” (Sigh.) I’ve wondered what people expect when they ask that question in the waning years of a person’s life. The person may have many wonderful days, but in the long run, they are either losing abilities (in my mother-in-law’s case) or multiplying health issues, and things are steadily going downhill. 10. The caregiver needs care. Even if the loved one is in a facility rather than the home, often one of the adult children is primarily in charge of seeing to her care and needs. And of course, if she is being cared for at home, obviously that person or family is taking on the bulk of her care. The caregivers need to know they’re not alone, that everyone else cares. They may need advice, emotional support, financial support, respite. I’ve known some cases where one is the primary caregiver, but the other siblings take the parent home for a weekend or a few days. Distance or the parent’s condition may prevent that, but it’s nice if it can happen. Thankfully we’ve had friends both in church and online who have cared for parents in their home, and they’ve been highly valuable and helpful to confer with, even just to have that fellowship of someone understanding exactly what’s involved. 11. I’m not a saint, except in the Biblical concept that everyone who believes on the Lord Jesus Christ as Savior is called a saint. Some people put caregivers on a pedestal or overly praise them, but we’re just ordinary people struggling through what we’re called to do. Appreciation or encouragement are more welcome than unvarnished praise, but it’s hard to know where the dividing lines are sometimes. 12. It’s hard. It’s hard to see one’s loved ones decline and to see their circumstances and quality of life reduced. It’s hard to feel the weight of their care. It’s hard to feel guilty about feeling that their care is weighty or about occasional resentment. My husband feels guilty that he doesn’t spend more time with his mom, but she sleeps about 20 hours a day, and it doesn’t do either of them any good for him to sit in her room while she’s sleeping. It’s hard to feel limited. It’s expensive to hire outside help – the agency we use charges $17 an hour, and we already have them here forty+ hours a week just so we’re free to run errands, make appointments, or just have a break. But we can’t just pick up and go out to eat, go on vacation, go to our son’s house, etc., without making arrangements and incurring more expenses. One friend who lived alone with her mom had people who could come over for a few hours or even a couple of days, but, still, that’s a lot to ask of someone, so the caregiver doesn’t feel the freedom to ask that often. In our case, my mother-in-law’s situation and the care needed is such that just having someone come and sit with her would not be sufficient. We’re limited even in ministry: we can’t go to everything that happens at church. My husband was a deacon when we first brought his mom home and submitted his resignation to the pastor because he just couldn’t be away for long meetings, etc., at that time. It’s hard to feel like even mentioning these things sounds like complaining. I’ve written about this before, but what helps most is just accepting that this is our ministry for now, just like having a new baby in the house is a mother’s primary ministry. As Elisabeth Elliott has said, our limitations just define our ministry: “For it is with the equipment that I have been given that I am to glorify God. It is this job, not that one, that He gave me.” Each ministry carries its own responsibilities, weights, and cares, but “God is able to make all grace abound to you, so that having all sufficiency in all things at all times, you may abound in every good work” (2 Corinthians 9:8). I’ve written from our experiences and that of friends, but, of course, every experience is different. People have widely varying capacities as they age: we know a 90-year-old who still lives at home, drives, is active at church and with her hobbies, an 80-year-old who still travels internationally and even recently remarried. I had one friend whose mother-in-law had Alzheimer’s but was physically fine, and she was able to take her mother-in-law with her wherever she went, at least in the earlier stages of the disease. And there is much, much more that could be said. But I hope you’ve been able to find some degree of common ground here and something helpful. Posted on October 26, 2016 by Barbara H.
I first came across I’m Still Here: A New Philosophy of Alzheimer’s Care by John Zeisel at Lisa’s review here. One of the main points she discusses there, of not “testing” the person with Alzheimer’s (Do you know who I am? Who this is? Do you remember…) but rather giving them the information they need first hand (Hi Mom, it’s your daughter, Barbara, and this is your grandson, Jesse. We’ve come to visit you today) was so simple and practical and yet so good and helpful, I wanted to read the rest of the book. My own mother-in-law in our home does not have Alzheimer’s, but she has had bouts of dementia, and I thought some of the general information about aging might be helpful as well as the specifics about dementia. One of the overriding themes of the book is to concentrate not so much on what the person has lost, but to deal with what they have now. “Those living with Alzheimer’s who use parts of their brains that still function well, feel enabled and competent, and are less apathetic, agitated, anxious, and aggressive” (p. 9). Those last four “A’s,” he says, are not so much symptoms of the disease itself but rather reactions or results that can be minimized. Another theme would be to “discard old expectations and role relationships that limit our ability to see the person and relate to him or her in a new way” (p. 11). Another would be that Alzheimer’s is more complex than just short term memory loss. For instance, a patient “doesn’t ‘forget’ how to get dressed or brush his teeth; it is just more difficult to put all the steps in the right order for multistage activities” (p. 70). Likewise, socially, it’s not so much that they “forget” how to act, but rather “losing control over naturally occurring feelings” (p. 71). The author discusses the medical aspects of Alzheimer’s, which parts of the brain are affected and which still work well but may need help to be accessed, and gives multitudes of ways to help access that part of the brain and reduce some of the negative reactions. So many of these are so helpful and practical, such as the supplying of information rather than asking questions I mentioned earlier, or the birthday party he described for a person who angered easily. He suggested having it in a dining room, so the setting helps the person know what is expected (rather than a living room or community room where they don’t know what to expect), seating them next to a grandchild, which “evokes hardwired caring instincts,” and having everyone wear name tags (pp. 71-73). One chapter dealt with arranging living spaces to facilitate patients’ movement and avoid problems. One good idea was “landmarks located at points where a decision must be made, such as a corner or a doorway.” Another was “camouflaged exits.” This was a big problem at one facility my mother-in-law was in. The main doorway was set off by a hall, making it so the workers couldn’t see it unless they walked that way. A lot of the residents accumulated at the doorway, making it hard for visitor to get in and out (in fact, I got scolded once for letting a resident out, but I didn’t know she was a resident. Visitors shouldn’t be expected to police the doorways). Another tip here would have helped this facility: have walkways that are safe and go somewhere, so the patient walks instead of wanders (p. 145). This particular place had no place for patients to “go” – they just had hallways to rooms and a big sitting area, and the aides tried to herd everyone in the sitting area to sit brain dead and silent in front of a TV to keep them under control and out of trouble (as you can surmise, I do not have good feelings or memories of this place). By contrast, the first facility she was in had walking paths that made a circle through the building (she was still using a walker then, and when my husband visited, they would “take a walk” around the circle). They also had a nice screened-in porch (without a door to the outdoors) so residents could enjoy the weather and view and fresh air and still be safe. “The hormone oxytocin is released in the brain when people feel safe. This in turn contributes to lower stress and to greater trust and sociability” (p. 138), so setting up an atmosphere as safe and wired for success as possible helps. The author asserts that one area of the brain that still works well is creativity, and he spends a good portion of the book discussing the use of the various arts. My first thought was that that would not have been helpful with my husband’s mother, as she was never one for museums or art galleries or plays and such. But as he presented it, I saw ways they might have been useful earlier in her life, though I can imagine she would not have been excited about a trip to the museum at first. But many might find these tips helpful. I did appreciate some of the helpful, thoughtful tips scattered throughout this section, like not asking “What does this painting represent,” but rather asking a specific question about something in it, explaining why they were in the museum or gallery without being asked, not asking them what they saw a half-hour ago, not pursuing a line of conversation if they get anxious, and others (pp. 96-97). Some of these would translate well to other excursions. Hear and respond to the other person’s “reality.” Don’t try to talk them out of it. Don’t test (as discussed in the first paragraph). Don’t say “don’t”; divert and redirect instead. It’s not right to think of Alzheimer patients as entering their “second childhood.” They have knowledge and life experience children don’t have (p. 10). “Be sure to ask the person with Alzheimer’s for expressions of emotions rather than cognitive data. Ask how they feel about a topic, not who was there a little while ago, or someone’s name” (p. 190). When moving someone with Alzheimer’s into a new living situation, don’t buy all new things for them or their room (p. 185). Make sure they are surrounded by familiar items, clothes, wall decorations, etc. I admit near the end I got a little frustrated, because it seemed as if the author were saying that if we just did all of these things, everything would work out fine and Alzheimer’s would be a beautiful and rewarding experience, and I know from many friends experiencing this with loved ones that it is not that way, no matter what you do. But he does advocate, in a section on caring for yourself as a caregiver, having someone you can safely “vent” to, to “pour out your heart with all its anguish and fear” and share “the ‘terrible’ feelings you have” (p. 213). It helped to see this admission that there will still be those times. These tips won’t eliminate every difficulty with Alzheimer’s, but they will help in many ways. There were a few places I disagreed with him. In one place discussing different types of health care and aid available, he mentions nursing homes as an option as if one can just choose and make arrangements to go there. I don’t know how it works in other states, but here, it’s pretty much impossible to get into one unless you’re coming from a hospitalization. One social worker said she could put us on a waiting list, but they almost never admit someone from a waiting list because they have so many admitted from the hospital (much of this due to Medicare regulations). A few pages later he mentions staff members in both assisted living facilities and nursing homes “who want to work there because they have a natural empathy with elders living with Alzheimer’s” (p. 206). As much as we would hope so and like to think so, that is just not the case (I could tell you stories….). Maybe they started out that way but got burned out, I don’t know. Finally, there is a New Age-y/Zen/Buddhist feel to parts of the book, culminating in a chapter on mindfulness meditation that I would personally be uncomfortable with and even find harmful. But the strength of the book, and what I appreciated most about it, is the gracious and thoughtful approach to communicating with and dealing with those with Alzheimer’s that permeates every facet of the book. My rating: For what I mentioned in the last paragraph, I’d give it a 10 out of 10, but due to some of the philosophical differences, overall I think I’d give it a 7 out of 10. Posted on October 19, 2016 by Barbara H.
One of the things that stood out to me in Quiet: The Power of Introverts in a World That Can’t Stop Talking by Susan Cain was just how much society is set up for the extrovert, from schools to businesses. I don’t know if she mentioned assisted living facilities or nursing homes, but I found that they, too, were developed primarily with extroverts in mind. Most activities at the facilities my mother-in-law has been in involved trying to get everyone together in the common room for some event or performer. We’d get a calendar of events every month, filled with exercise classes, bingo, craft times, magicians, movie nights, and various groups coming to sing. I’m sure many of the residents loved a lot of those opportunities. My mother-in-law was always content with a small circle of friends. She never drove. Her husband got groceries and ran most errands. She enjoyed going to church and helping with Awanas there until she couldn’t hear well enough to continue. A big portion of her dislike of getting together in large groups had to do with her hearing. She has worn hearing aids in all the nearly 40 years I have known her, and she told me once that in crowds, the aids magnified everything, so it was not only hard to pick out the voice of the person you were talking to, but it was unnerving that everything was so loud (they may have improved on that aspect now – I’m not sure). But even besides the hearing issues, she preferred home to just about anywhere else. They loved to go visit family or a handful of close friends, or go and get wood in the hills for their wood stove. She didn’t have many hobbies besides reading, her favorite activity when her work was done. She and her husband loved to watch the Atlanta Braves baseball games together and tinker in their garden or around the house. One of our reasons (not the main one) for having her in assisted living rather than in our home was so that her world wouldn’t be reduced to just us. But when any of the aides asked if she’d like to come for whatever was going on down in the common room, she’d politely say no, she’d like to just stay in her room and read her book. Occasionally they could get her to if they didn’t ask, “Would you like to…” but rather just said, “It’s time for…” If they started helping her out the door for something that she seemed to be expected to do, she wouldn’t protest, though she didn’t like it (you do have to be careful of that kind of thing, though, so that you’re not running roughshod over their wishes). But once when I walked in and she was out with the others listening to a church group, she couldn’t understand what they said when they were talking, but she could get enough of the melody of old familiar hymns that she could sing along. Once when I was trying to encourage her to participate more and telling her it would be good to get out of her room sometimes, she said, ” I DO get out of my room three times a day for meals!” Residents had to go to the common room for meals and sit at a table with two or three others (unless they were sick, and then a tray was taken to their room). And I thought, that’s true, and that’s quite a lot of social interaction compared to her life before assisted living. So I didn’t urge her that way any more. She enjoyed coming with us to my son’s basketball games and to our home and church. We would take her out to eat with us sometimes, and I could tell she was tense and not entirely comfortable, but as long as we ordered for her (so she wouldn’t have to) and stayed close, she was fine. Now, of course, with her decline over the years, her lack of mobility and speaking, about the only place she goes is outside occasionally in her wheelchair. I know it was more cost effective and needed fewer workers to do things as a group rather than have one-on-one activities. There were just a few individual activities they did that worked well. A couple of the places would bring in therapy dogs and take them to individual rooms for residents to pet and interact with for a short time. She always had pets until assisted living, so I think she enjoyed that. One activity director would come to her room and paint her fingernails. I don’t think she ever painted her fingernails in her life before that, so I never knew quite what she thought about that one. But at least it was one-on-one. My husband and I often thought that someone could make a business out of being a personal trainer in those kinds of facilities. My mother-in-law was under a physical therapist’s care at different times, but eventually their time with a patient comes to an end, and they leave them with a list of exercises. My mother-in-law never did the exercises on her own and didn’t want to go down to the group exercise classes, but she would work with the physical therapist (as she declined, she needed my husband to be there for the first few sessions so they could learn to communicate with each other. He was from Croatia, and she couldn’t understand him, so he thought she was just being uncooperative, and she didn’t really care if he came back or not. But after just a few visits with my husband there to interpret for her and urge her on, and showing the therapist how to communicate with her, they got along quite well.) We didn’t want our own visits with her to be all about exercising, so it would have been nice if there was someone on staff, or even someone who worked with different facilities, to come in and help people with their exercises. One lady who used to visit my mother-in-law used to read and discuss with her parts of the Reader’s Digest, her favorite magazine. Nowadays, visitors often read a part of the Bible to her, valuable since she can’t read for herself any more (it’s important to remember if you are reading to someone with hearing problems that you stand or sit where they can see you clearly and speak loudly). Other one-on-one activities that we’ve done and others could do are taking her outside (one facility had a lovely screened in porch) for a change of venue, looking through pictures or photo albums with her (people love to talk about their families), or show her things on the computer. Sometimes when we had her over for a meal, my husband would show her some of the family members’ Facebook pages, or use Google Earth to see some of the places where they used to live. We talked some about her life before I knew her (I discovered she had been the editor of her high school newspaper! ), but I wish I had done that more and then written it down. I also wish I had come up with some bit of interesting news or information to share with her. Often our conversations would start out with, “Well, what’s new?” And I’d reply, “Well, not much.” When you visit someone almost every day there is really not much new every visit. I did share family and church news and sometimes current events, but I wish on those days when I didn’t have anything new to share that I had taken the time to look up or come up with something she’d find interesting. I also wish I had put some of her old photos in a scrapbook with her, not just for the activity, but to hear more about the people in them. Although my mother-in-law would not have had the dexterity or interest in these, some might enjoy games or puzzles (although she did enjoy Scrabble sometimes at our home. We had to take it very slowly and she’d argue with us about words like “qi” and “xi.” 🙂 ). Some might even enjoy some of the group activities if they have a companion they know to go with them, at least the first few times. The biggest help, though, both in any facility or in our home now, is just visiting with her personally. At different times over the years different individuals from our church would take it upon themselves to just go see her. Sometimes different groups within the church or community would make something for residents and bring it to their rooms, and that was nice, but really, the main help was just a short time of personal conversation and interaction. Of course, staff members do not have time to do all of these things, and some are best done by family. But for those like the activities director who only painted fingernails, ministry groups, and individual visitors, these are a few ideas of things to do with one older person rather than a group activity. Social interaction is important to every person, but introverts prize it on a smaller and more infrequent scale, with one or two people and quieter activities. That may be a little more time- and labor-intensive than group activities, but it can be highly valuable for both sides. For more in the Adventure in Eldercare series, click the graphic below. Posted on January 11, 2016 by Barbara H.
First of all, how old is “aged?” The ESV graciously says “older” instead. Sometimes women resist the admonition in these verses because they don’t want to admit to being an “older” woman (although I’ve often said we’re all older than somebody.) But being now on the far side of my 50s, yes, I have to admit I am probably getting there. The second questions that comes to my mind is “How am I supposed to go about this teaching?” I don’t think the text means that older women are supposed to buttonhole younger women and lecture them. That would not go over very well at all! I shared in a post on mentoring women that Paul probably did not have in mind classes or retreats when he wrote this. I don’t know if they had such things (as we think of them) then. We do have them these days, and they can be a great blessing. Even still, there would only be a small number of older women in an “official” teaching capacity. Are the rest of us off the hook? I don’t think so. I also mentioned there that some churches have formed one-on-one mentoring programs, or some women have specifically asked an older woman to meet with them regularly. For me personally, the best teaching I received from older women wasn’t necessarily done deliberately. As a Christian teenager from a non-Christian home, I mostly went to church alone unless I took my younger siblings. Another family in my church invited me over regularly, and God used them greatly in my life to show me how a Christian home operates. The wife, in particular, was a lovely example to me in every way: her relationship with her husband and children, her homemaking, her sweet spirit. But I don’t think they took me on specifically as a “project.” They were just hospitable, and their character and spirit came through everything they did. Similarly, often in the everyday activities of church life – nursery duty, baby showers, ladies meetings, ladies Bible studies, putting bulletin boards up, etc. – very often God would send me “a word in due season” from sometimes a seemingly chance remark by an older lady. One of the few times of specific instruction I remember was when a mom of teenagers was taking about one of them (favorably) while we put up a bulletin board and said something like, “When your kids get older, don’t dread the teen years. Don’t expect those years to be tense and rebellious. You can have a good relationship with your teens and they can grow a lot during that time.” That stayed with me through my own kids’ teen years, and I am so glad it did, because the worldly wisdom by then was that it’s a necessary rite of passage for teens to be rebellious and somewhat estranged from their parents. That lady’s advice probably saved our family from some grievous attitudes during that time. So, though there are other more official ways to teach, to me, to employ an overused phrase, “doing life together” is one of the best. Then there is blogging and writing. Again, this may not be something Paul had specifically in mind, but it’s a great avenue to share truth in this day. 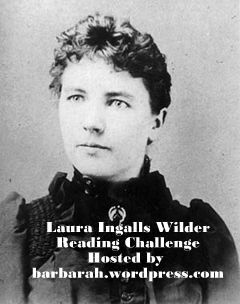 Many of us won’t go on to write books, but we can share from our experiences through a blog. For me, again, some of my favorite blogs have not been specifically didactic, though I have learned from that kind as well. When I first started blogging, the blogging world (at least among the women I knew) was chatty and neighborly, more like visiting over the back fence. There wasn’t as much talk then of “branding” or finding one’s niche. Sometimes I consider whether I should make my blog a little more professional or focused, but for now, even though I do get a little teachy in some posts, I still prefer the “doing life together” aspect, and hopefully sharing a Christian view of handling life in the process. I do wonder whether that costs me some readers who don’t view a blog like this as a “serious” blog next to the didactic ones. I probably would never make any list of “Best Christian Women Bloggers Over 50.” But that’s not my goal. My goal is to blog about life and what God is teaching me along the way. As I mentioned, some of my favorite blogs were the same type. For example, my friend Dianna, who, sadly, isn’t blogging any more, wrote mostly about her home and family, but her sweet godly spirit shone through and was an example, and often a rebuke, to me, just in her writing about the course of her day or some project she was doing at home. When it comes to what to teach, I am much relieved by what the text says. I don’t think this is an exhaustive list: I think older women can teach other women the Word of God in an expository manner and touch on other subjects than what is listed. Lisa Spence discusses this more fully in her post I am more than my motherhood. But what relieves me in reading about the specific topics listed is this: I don’t have to take sides in the latest “mommy wars” topic being debated or on any couple’s marital debate, but in my interaction with women, I can teach and encourage loving hearts and godly attitudes. I’m relieved that I don’t necessarily have to teach younger women how to raise their children, because I’ve been astonished at how much I have forgotten about some of the details, and some recommendations have changed over the years (even with my own three children in the nine-year span between the births of the oldest and youngest, I had three different official medical instructions about the position they were supposed to sleep in from the same doctor). Plus there is a lot of room for different opinions and methods even in Christian parenthood. I’m happy to share any specifics I might remember when asked or if I think of something that would be helpful. But above the details, I’m concerned with godly character. I have read a number of times over the years the question from younger women, “Where are the older, godly, Titus 2 women?” More recently I’ve seen the question, “Where are the older women bloggers?” Lisa makes the point that older women can’t write about parenting their teens or adult children as they write about their 2-year-olds because we need to be circumspect about their privacy. They may not want Mom to share anything about their interactions, good or bad, even if it might be helpful to others. Sometimes older women hold back because they don’t feel qualified: they feel like they’d have to “have it all together” in order to say anything. Years ago at a ladies meeting when I wanted to set up a panel discussion and entertain some questions about how to love one’s husband, I had a hard time getting anyone to be on the panel for this reason: everyone felt their own need of instruction, no matter how old they were or how long they had been married. Some things I wrote in an earlier post, Why Older Women Don’t Serve (in the church), come into play here as well: sometimes older women in the “sandwich generation” are taking care of elderly parents or facing their own health issues. Sometimes, honestly, they don’t feel wanted. I’ve shared before that I was stunned when a younger mom shared with me that the younger women didn’t come to our ladies’ meetings because all the ladies there were “older.” My first thought was, “Well, of course that’s the case if the younger women don’t come.” I was admittedly hurt and my confidence was shaken. We weren’t that much older: this lady was in her early 30s and most of the ladies who attended the meetings were in their 40s and 50s. I wrestled for a long time with how to make our meeting topics and luncheon themes and decorations more contemporary and appealing to younger women, but I’ve always had a little hesitancy since then in dealing with younger women, feeling that they don’t really want to be around me. Aimee Byrd touched on the fact that older women bloggers are out there, but they don’t get as much notice because everyone follows after younger women bloggers (many of whom are doing a wonderful job.). Perhaps older women just need to be encouraged that we really do want to hear them. First of all, pray for God’s guidance, direction, and provision. Second, look around among the women in your church or family. Observe. In every stage and season of my life, God has placed ladies just ahead of me that I have learned much from just by observing. Interact with them, whether going to ladies’ meetings, talking with them at baby showers, asking them over for lunch or dinner, etc. Feel free to ask questions. They’re much more willing to share when they know their thoughts are wanted. Don’t expect a fairy godmother. 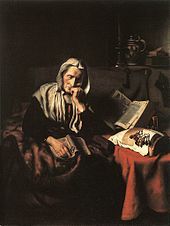 In some source I forgot to note, one woman lamenting not having Titus 2 woman in her life wanted someone to come into her home, watch her children, help her with housework, answer all her questions, and solve all her problems. Most of us wouldn’t mind that from a book or speaker, but would hold at arm’s length, or even be offended, at someone trying to do these things on a personal level. Incidentally, this is the only occasion this word is used in the New Testament. Glean. Sometimes you’ll get different opinions from different older women whom you respect and who both love the Lord. This was hard for me as a young mom until I hit upon the idea of gleaning – kindly listening and then taking from their advice what would best work for our family and leaving the rest. Read. I’ve probably benefited as much, if not more, from reading books written by godly older woman as I have from personal interaction, both books specifically designed to teach Titus 2:3-5 as well as biographies and even, in some cases, Christian fiction. Concentrate on being before doing. Notice verse 3, which we often gloss over to get to the rest, talks about an older woman’s character. Holiness, self-control, discretion, concern for others, truthfulness, and being willing to share with others are all a part of what we need to cultivate in our own lives. Be aware that younger women will probably observe your actions long before they ask you specific questions. Don’t do anything for “show,” but be mindful of your example, seek God’s grace to be a good one, and confess to Him (and anyone else involved) when you fail. Seeing how someone handles a failure can be as instructive as anything else. Pray for God’s guidance, direction, and grace. Remember the source of wisdom and the way He wants us to share it: “If any of you lack wisdom, let him ask of God, that giveth to all men liberally, and upbraideth not; and it shall be given him” (James 1:5); “But the wisdom that is from above is first pure, then peaceable, gentle, and easy to be intreated, full of mercy and good fruits, without partiality, and without hypocrisy” (James 3:17); “But of him are ye in Christ Jesus, who of God is made unto us wisdom, and righteousness, and sanctification, and redemption” (1 Corinthians 1:30). Don’t wait for perfection. That won’t happen til you get to heaven. Women need examples and instructions from women with the same struggles and faults they have so they’ll know they can seek God’s grace, forgiveness, and help with them. Seek ways to interact with and develop relationships with younger women. Show interest. Sometimes that might mean seeking them out at a church function rather than the friend you always talk to. Sometimes that might mean extending hospitality. A couple of women I know minister specifically to younger women, one by offering to babysit, the other by offering to help out at home for a few days after a baby is born. Those might not be your way of ministry, but God will direct you in what you can do. And He may not lead you into an “official” ministry, but just being available and encouraging, being a conduit for that “word in due season,” is a great help in itself. If you feel a younger woman does need confrontation in some area, pray much about it first and seek to have a gracious attitude. Don’t assume her motives are wrong: maybe she was never instructed or hasn’t thought about the issue. It’s usually best to speak from the position of a relationship with the person rather than from that of an acquaintance, to talk with that person privately, and not to discuss their issues with anyone else. Don’t fall into the trap of seeming as though the way things were done “in our day” are the only way they can ever be done. Don’t cross the line into being a busybody. Somehow we usually think of these verses in regard to newly married women or young moms. But don’t forget about single ladies and middle-aged ladies. I’d love to see more writing from godly women about handling an aging body, parenting adult children, being a mother-in-law, caring for aging parents, preparing for “old” age, etc. Realize that younger women do want to hear from you. May God give ladies of all ages grace as we seek His will and interact and learn from each other. How Not to Become an Old Biddy. Why Don’t Older Women Serve? Ways Older Women Can Serve. Sharing at Literary Musing Mondays, Inspire Me Mondays, Me, Coffee, and Jesus, Testimony Tuesday, Wise Woman, #TellHisStory, Works For Me Wednesday, Thought-Provoking Thursdays. Posted on December 3, 2015 by Barbara H.
I got Caregiver Devotions To Go by Gigi Devine Murfitt from a Kindle sale a few years ago, and it has been sadly languishing on my Kindle app since then. I just recently rediscovered it and thought it was the perfect time to read it. 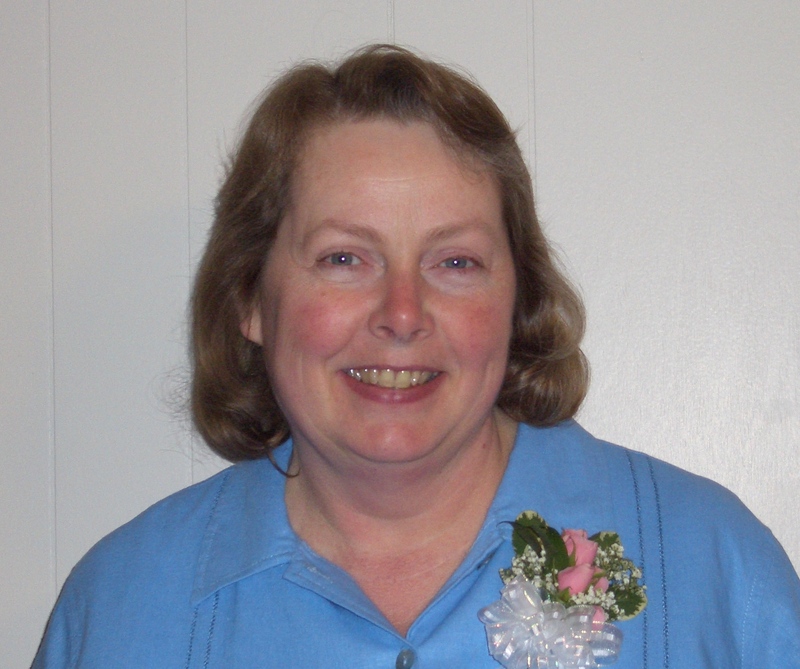 Gigi writes from the perspective of a daughter who helped her “widowed and disabled mother as she cared for her ten children” and then later cared for her mom when she was older, and then as a mother of a son with special needs. In some cases her definition of a caregiver broadens to include teachers, firefighters, etc. She shares here 30+ short (a little over 2 pages each on my device) devotional thoughts on various aspects of caregiving. Each one includes a Scripture verse, several paragraphs, a prayer, and activity ideas. The devotionals cover a variety of topics, from acceptance to finding strength to showing love to our need and the provision for forgiveness when we fail. One of my favorites was when a friend wrote a letter to Gigi’s son after he was born with arms only 3 inches long, saying that he was as fearfully and wonderfully made as anyone else and that she was looking forward to see how God worked in and through him. Another was when her sister, after finding her mother in “a five pound, urine soaked diaper” at her nursing home more than once, even after speaking to the nurses about it, asked if she could visit with the staff. She thought she was just going to have a meeting with the nurses and aides who cared for her mom specifically, but she found when she arrived that she was the guest speaker for a staff meeting of about 60 people. She talked about what residents gave up to live in the nursing home – homes, pets, most possessions, autonomy, etc., and emphasized their need for compassion, pointing out that “for many of them, the caregivers were the only contact they had on a daily basis. A touch, a smile, a gentle response, an ‘I care about you’ attitude could make a bleak day brighter.” She asked them to treat the residents as they would want their own family members taken care of. When my mother-in-law was in various facilities, I often wished I could address her caregivers, but I never thought to ask. My husband did speak to the person in charge more than once, but I would have loved to gently urge everyone to remember that these are people they are dealing with, not just tasks, and to treat them as they themselves would want to be treated in the same situation. Now I find myself needing to be reminded of the same truths. Though not every entry applied to my situation, and though I would differ with the author on a couple of issues, overall I benefited much from this book, and I think any caregiver would as well. Posted on November 18, 2015 by Barbara H.
Anita at Blessed But Stressed is celebrating National Family Caregivers Month by inviting blog friends to guest post on the subject throughout November. I am honored to be a guest there today on the subject of Battling Resentment in Caregiving. I hope you will check out the series: I have found a lot of encouragement in the other posts so far. Posted on November 3, 2015 by Barbara H.
As my mother-in-law has gotten older, she has been sleeping more. Usually when I went to see her when she was in assisted living facilities and then in a nursing home, she would be dozing in her wheelchair and I would have to wake her up to visit. She used to encourage me to wake her up because she could sleep any time, but she didn’t get many visitors and didn’t want to miss a visit because she was sleeping. Later she was more inclined to stay asleep. Once when I woke her up to visit, she actually told me, “Next time, don’t wake me up.” Usually, though, she did her best to be pleasant, but even then, after just a few minutes, she would start yawning and rubbing her eyes, her head would start drooping, and if she had a pillow propping her up in her wheelchair, she’d nuzzle against it to get comfy again. When she was awake, though, many times our conversations would get stuck in a loop with the same questions and answers and comments over and over again. Sometimes I was tempted to wonder if it was worth a 40 minute drive round trip to wake her up for 5-10 minutes of groggy conversation that she likely wouldn’t even remember, or to have the same conversational loops repeatedly. I’d wonder what good it was really doing to visit her. Other times, she’d be awake and we’d have a good talk, or I would be able to do some little service for her, like change her hearing aid battery, clean off her table, advocate for her with the staff over something, bring her mail, etc., and then I’d feel useful or feel like I had accomplished something with the time. What I had to realize was that visiting her was not supposed to be about making me feel useful. It was supposed to be about letting her know she was loved and remembered and ministering to her in whatever way she needed. A dear lady at church writes to my mother-in-law periodically and will occasionally check in with us to see if she seems to be getting anything out of her notes. I tell her that she may not remember who the lady is or that she wrote to her, and she wouldn’t know if she never wrote again, but for those few minutes that I read the note to her, she knows that someone was thinking about her. There were a few gems in the aides at many of those facilities, but, in our experience, many of them were just punching the time clock, going through the motions for the day. We’ve actually witnessed some talking to each other over her while they tended to her, never once speaking to her, hardly even looking her in the eyes. You can imagine, then, what it would mean in a situation like that to have someone come to see you personally, to look you in the eyes and just be with you rather than bustling about getting other things done. A couple of years ago, we brought my mother-in-law to our home. She had gotten down to about 90 lbs. in the nursing home and seemed out of it most of the time, and we thought we were bringing her home to die. But as she got off the medications they had her on and under one-on-one care, she started eating again, gained weight, became more mentally alert, and thrived. Now, though, she sleeps about 20 hours a day and doesn’t speak much at all any more. My “wondering if I am doing any good” takes a different tack now. We know we’ve done her good in taking care of her needs. Our ministrations have kept her alive. But to what kind of life? To sleeping interrupted by meals that are not always wanted, to baths that are definitely not wanted, and to occasional episodes of The Waltons are Matlock? Who would want to live like that? Well, I suppose if that was the life I had, I would still value it over losing it. It would be unthinkable not to meet her needs even in such a condition. Life and death are in God’s hands. So why does He leave one of His loved ones to linger here in such a condition when they long ago prepared for heaven by trusting Jesus as Savior and are eager to joined loved ones there? We don’t know all the answers to that, but I believe a large part of it is what my friend Esther shared after caring for her mother-in-law with Alzheimer’s for several years: He works in us through them, teaching us what it means to honor a parent, to minister, to love unconditionally, to confront our selfishness, to stop bustling around and just sit and connect with one other person. I think He also shows us a picture of how we must look before Him: helpless, completely dependent, messy and unable to do anything about it. Yet He loves us. He doesn’t resent cleansing and caring for us. He knows how thoroughly we need Him even more than we do. Seeing my own helplessness and basking in His love and care for me helps love for others to well up in my own heart. 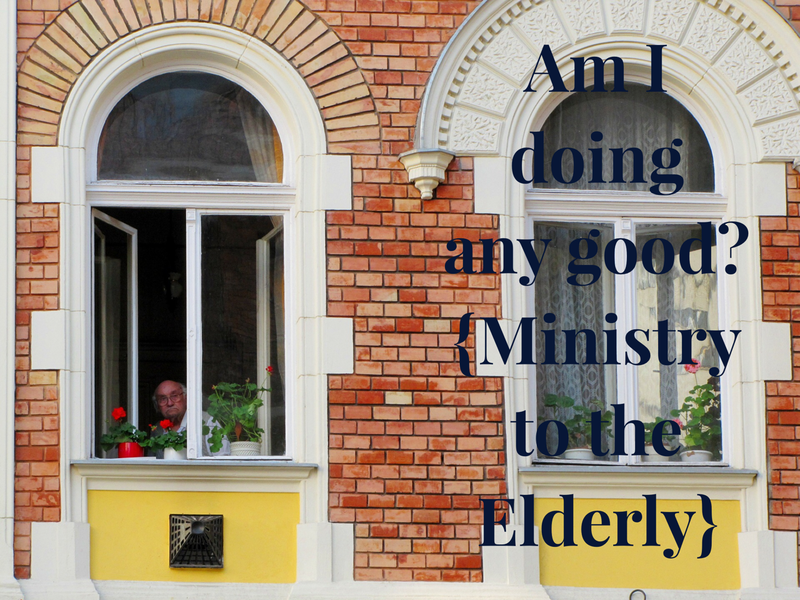 Ministry to the elderly may not have the pizzazz or “results” that other ministries have, but it’s an essential ministry that we cannot forget, as individuals or as churches. Some elderly may have physical needs that we can help meet, particularly those still living alone. But for many, their main need is God’s love shown thrown human connection.